Jean-Luc Godard, David Cronenberg, the Dardenne brothers, Andrei Zvyagintsev, Atom Egoyan, Olivier Assayas, Xavier Dolan, Tommy Lee Jones, and Nuri Bilge Ceylan are among the elite group of filmmakers who will compete for the Palme D’Or at this year’s Cannes International Film Festival. Thierry Fremaux, the fest’s director, announced the lineup at a press conference early this morning, prompting groggy, obsessively nerdy American cinephiles to set their alarm clocks for 11 a.m. Central European Timezone. As previously announced, the festival will open on May 14 with Grace Of Monaco, starring Nicole Kidman as Grace Kelly. The promising main competition will pit British masters Mike Leigh (Mr. Turner) and Ken Loach (Jimmy’s Hall) against each other, boasts the premiere of Bennett Miller’s Foxcatcher (with Channing Tatum, Steve Carell, and Mark Ruffalo), and includes The Search, Michel Hazanavicius’ follow-up to the Oscar-winning The Artist. Elsewhere, actor-turned-director Mathieu Amalric (The Blue Room) will take on fellow actors-turned-directors Ryan Gosling (How To Catch A Monster) and Asia Argento (The Misunderstood) in Un Certain Regard, Cannes’ not-quite-worthy-of-the-main-competition competition. 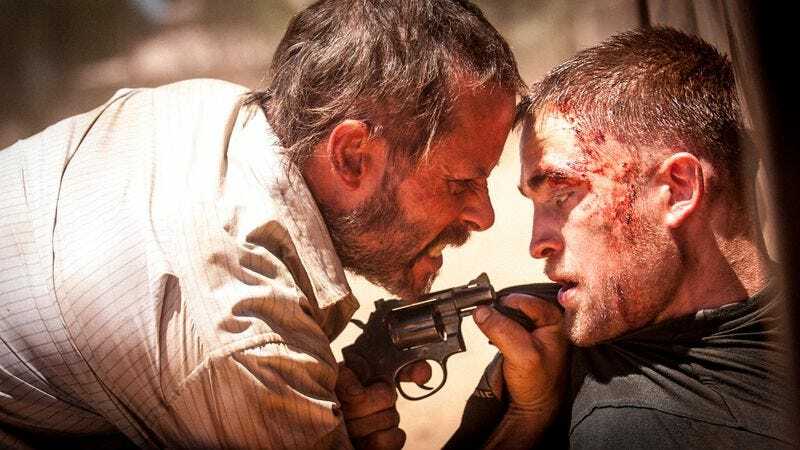 Animal Kingdom director David Michôd will also unveil his futuristic Outback oater The Rover, starring Guy Pearce and Robert Pattinson (who’s on Cannes double duty, given his appearance in Cronenberg’s Maps To The Stars). And the fest will host an out-of-competition screening of How To Train Your Dragon 2, presumably to lift the spirits of festival-goers who will otherwise endure so much cinematic depictions of despair during their 11 days on the French Riveria. Perhaps as a response to the common criticism that Cannes is a bit of a boys’ club, Fremaux was quick to note that 15 female filmmakers are represented within the official selections. Only two, however, will compete for the Palme—Naomi Kawase with Still The Water, Alice Rohrwacher with La Meraviglie—while many of the others seem to be involved in a single omnibus project called The Bridges Of Sarajevo. The highly anticipated movies that will not screen at Cannes include Paul Thomas Anderson’s adaptation of Inherent Vice, Tim Burton’s Big Eyes, and any of the handful of projects Terrence Malick is said to have in some stage of development. That said, Fremaux also noted that additional titles may be added, so film buffs headed for the French fest next month can hold their breath a little while longer.